Seattle - With its tremendous fuel efficiency and excellent passenger experience, the fifth 787 Boeing Dreamliner which was delivered to Royal Air Maroc (RAM) will strongly supports the airliner's business and desire to expand while opening Morocco to the world, said Ihssane Mounir, recently named senior vice president, Global Sales and Marketing for Boeing Commercial Airplanes. Seattle – With its tremendous fuel efficiency and excellent passenger experience, the fifth 787 Boeing Dreamliner which was delivered to Royal Air Maroc (RAM) will strongly supports the airliner’s business and desire to expand while opening Morocco to the world, said Ihssane Mounir, recently named senior vice president, Global Sales and Marketing for Boeing Commercial Airplanes. 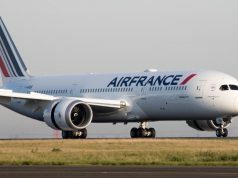 “Boeing is proud to deliver the fifth 787 Dreamliner to Royal Air Maroc, building on a relationship with our customer that began many years ago,” he told MAP on Sunday. The 787 will provide Royal Air Maroc with the capability to grow its long-haul network and significantly reduce operating costs, all while offering its customers an unmatched on-board experience, said Van Rex Gallard, vice president of Sales, Africa, Latin America and the Caribbean, Boeing Commercial Airplanes. \Boeing and Royal Air Maroc this weekend celebrated the arrival into Morocco of its first 787 Dreamliner. 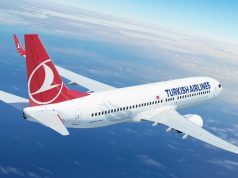 The airline will be the first carrier in the Mediterranean region to operate the 787, said Boeing on its website. The airplane, delivered to the airline on Dec. 31, 2014 from Boeing’s Everett, Wash. 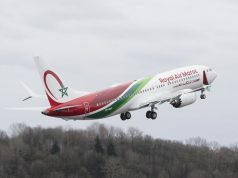 Delivery Center, flew a 4,788-nautical mile (8,867 kilometer) nonstop flight to Royal Air Maroc’s home base in Casablanca at Mohammed V International Airport, the same source added. Royal Air Maroc’s current fleet includes nearly 50 Boeing airplanes, consisting predominantly of Next-Generation 737s, but also 767-300s, a 747-400 and now it first 787. 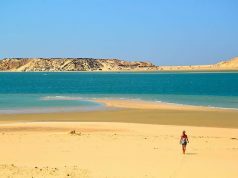 The Casablanca-based carrier operates a domestic network throughout Morocco and serves more than 50 destinations across Africa, Asia, Europe, and North America. 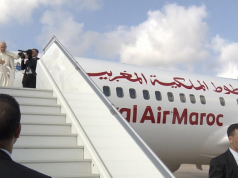 Boeing’s partnership with Royal Air Maroc dates back more than 40 years, it noted. Should Royal Air Maroc Trust Boeing?